Have you heard the rumors about the dying video game studio? Telltale Games is very close to shutting down, and this developing scenario is moving quickly just days after the release of The Walking Dead: The Final Season. So, will the undead get a swan song? Clementine’s fate is currently up in the air. Piecing together the chain of events, Telltale laid off more than 90 employees last November. Only 25 employees remained, working desperately to release the game to the public. Episode One was released and then rumors swirled that Telltale would soon shutter. Episode Two, “Suffer the Children,” was previewed to the public almost two weeks ago and then the game was “temporarily” delisted for the Xbox One three days ago, and will soon be removed from the Windows 10 marketplace, if it isn’t already. Apparently, multiple partners have offered to help complete the unfinished episodes (Episodes Three and Four have reportedly been completed by the voice actors), but nothing’s official. And where does that leave Episode Five? Will it even be made or will gamers receive a rushed, incomplete game? And what about refunds to all the people who already paid for their Season Pass, which was supposed to include five episodes? Beginning with The Walking Dead: Season One, I instantly became a Telltale fan. Clementine was introduced and the story was developed around her great character, but it was Lee Everett (voiced by Dave Fennoy) and Kenny (Gavin Hammon) who tore it up. I would later meet and interview both of these great actors and celebrate their work at a video game convention. Much later, I met Clementine, herself, at Walker Stalker: Actress Melissa Hutchison. The Walking Dead, as a Telltale Series, had its ups and downs, but I never stopped enjoying Clem’s adventures. It is a real shame that she may never get a proper wrap-up story. (Years ago, I was hoping the character would be the first to spin-off into AMC’s TWD, but I gave up hope for that with each new TV season.) Overall, Clementine was my all-time favorite character throughout playing each of the series. As a whole, I really enjoyed playing The Wolf Among Us and remember having a blast while playing Tales From the Borderlands (which might just be my favorite Telltale series). Not everyone was a fan of the company’s animation style (or there lack of), but the voice acting was stellar and the stories that were depicted were pretty great, as well. It’s very sad to learn that a Stranger Things adaptation was being developed — which sounds phenomenal — but that may never happen now (along with possible sequels to Tales From the Borderlands and The Wolf Among Us). 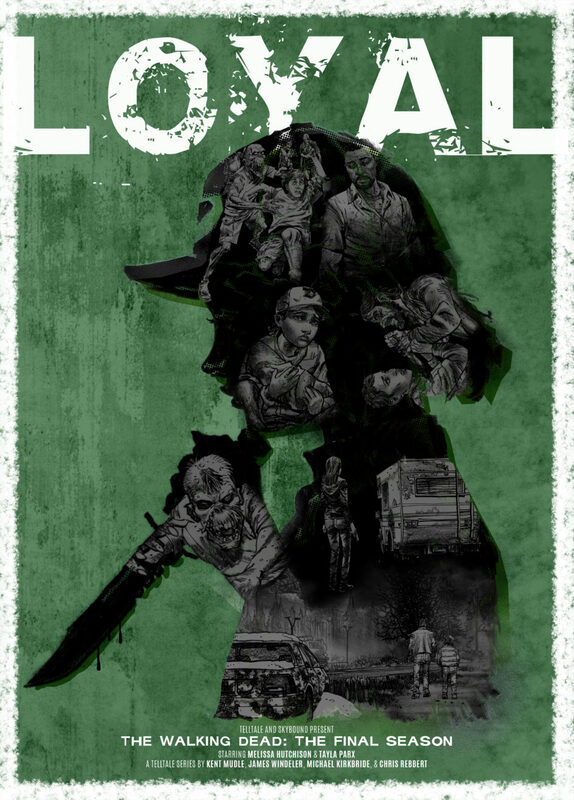 I was a loyal Telltale fan until the very end and hope that all of the studio’s former employees get quickly picked up by other companies. They didn’t ask to get laid off and I wish them and their families well. I also hope The Walking Dead’s final story will get five complete and satisfying episodes.